or just hunger for something more. Productivity is “the state or quality of being productive”, as most dictionaries say. It is a measure of performance, a ratio of output to inputs, and all other smart things. The point is: this is something we humans always strive to enhance. Wherever we are, whatever we do – high productivity is one of the keys to success. Simply put, you do more with less time and resources. And that’s cool. As many of us spend a good part of the day at our Macs, it makes sense to think about productivity when you’re working on your computer. And here comes Mac productivity software. There are plenty of Mac productivity apps to assist you with different daily things: note taking, copy paste, task, time and file management, web browsing and so on. Many of them are good, some are great in their field. So how exactly they make us more productive? In short, by simplifying our lives (at least on Macs). After all, that is something we all want, having already enough difficulties in everyday life. But that’s not all you need to be efficient. There are also things you have to stop doing and things to get rid of. Now let’s see what exactly hinders our smooth workflow. 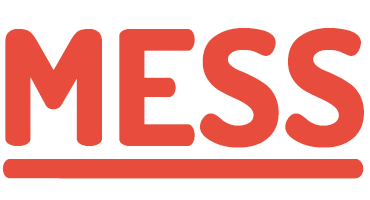 Whether on your work-table or on your Mac Desktop – mess only serves as an obstacle on the path to high productivity. All the clutter in the area of your workplace is to be eliminated so you could perform better. Things you need must be kept in order, well-organized. Nothing ruins your productivity more than constant distractions. Notifications, messages and calls, open social media pages and other external stimuli cause the temptation to interrupt your work. Once distracted, you may totally lose your focus. Get used to doing the job first, then having a break – not all at the same time. It’s also useful to limit your availability during the active working hours. Having too many plans for a day, you may end up with nothing much achieved. You need to be realistic about your capabilities and work smart, not necessarily hard. Set priorities, see your clear objectives, reach them. Succeed. So, the main idea of improving your productivity on Mac is to minimize all mess, distractions, tension, waiting – not to waste time on unnecessary stuff and stay in focus. It is not something new to discover. We’ve all been through this. But, as Mac app developers, we just needed to do something about it. So, we took some of the most annoying productivity issues when working on a Mac and created an app to solve them. We call it “Unclutter” – and the app quite matches its name. Unclutter is a versatile 3-in-1 productivity app which we are proud to introduce to you. It was developed with the aim of boosting the productivity of Mac users. It is here to clean up the mess on your Desktop and Mac in general. With Unclutter everything will be kept nicely and organized. 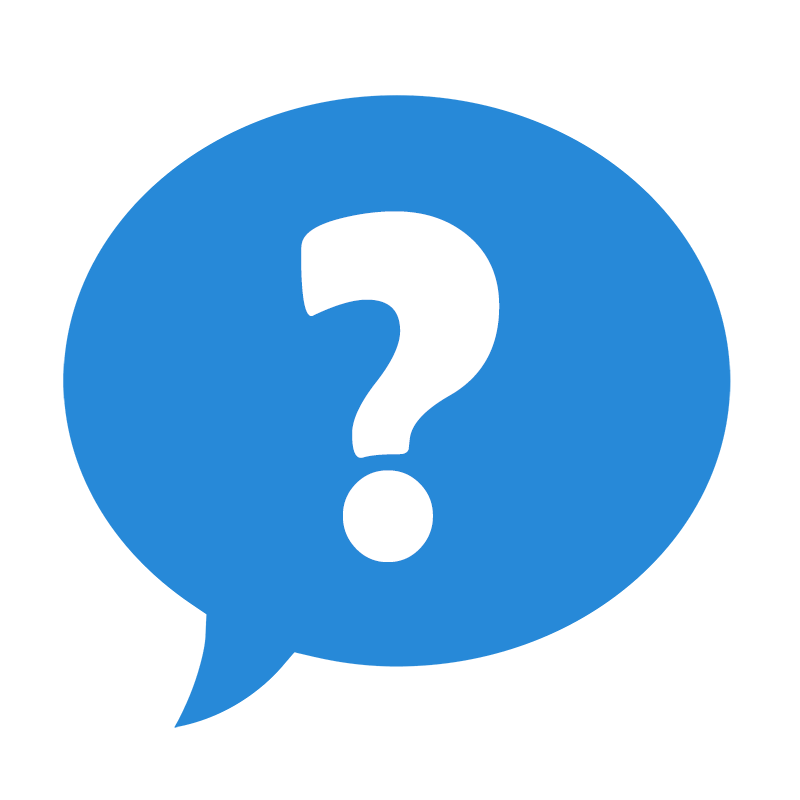 Our app works effectively and fast like a ninja staying invisible most of the time but still always there in case it becomes of use. It shows up immediately, quickly helps you with your current task, and gets out of your way so you could continue working on your stuff. 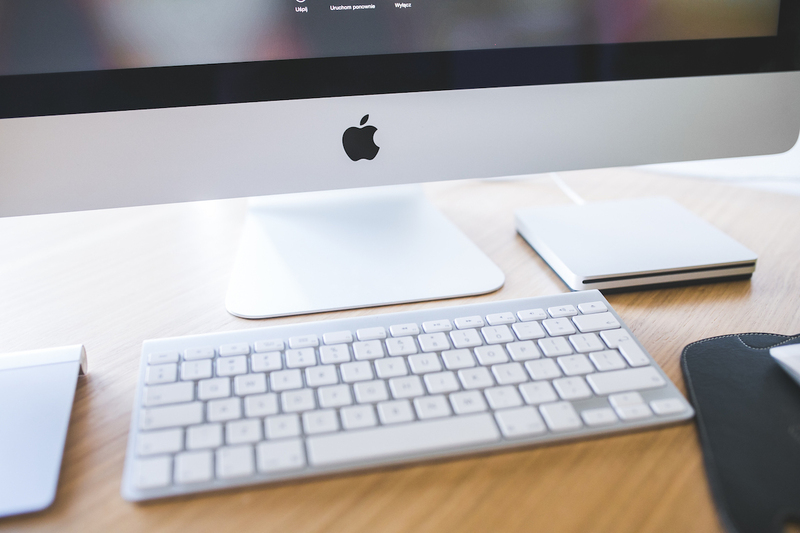 For the vast majority of Mac users, some of the most frequently used operations are copy and paste, file transfer and note taking. Here in Unclutter, we have decided to concentrate on these three and provide nice and efficient solutions to them. So, our app consists of three sections, each of which is responsible for one of these important tasks. And each does its job to help you become more productive on your Mac. Well, it’s just about time to take a look at these sections. 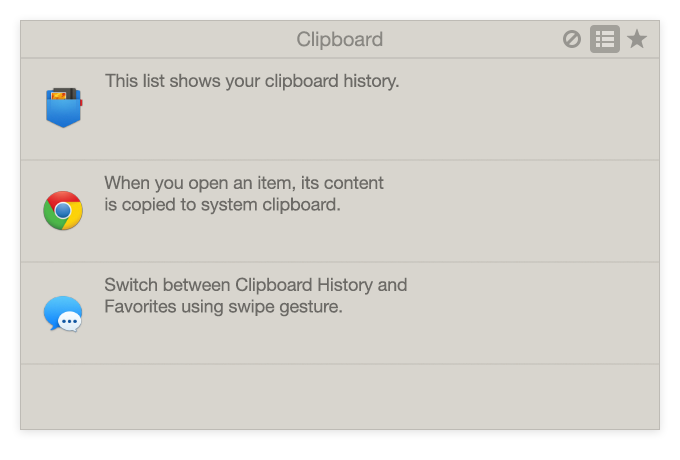 Unclutter Clipboard is a handy clipboard manager for your recent copy and paste on Mac. It keeps track of your copy history, stores your favorite clips, simply makes sure nothing important you copied gets lost. Our pocket clipboard will make you feel your performance lift when dealing with cut, copy and paste operations. You will notice the difference as you gain new abilities and use them. Unclutter Clipboard panel gives you the full access to the history of copied data. There you can browse, choose and edit your clips from the list. View any clip in full. Get back to the one you copied and forgot to paste. 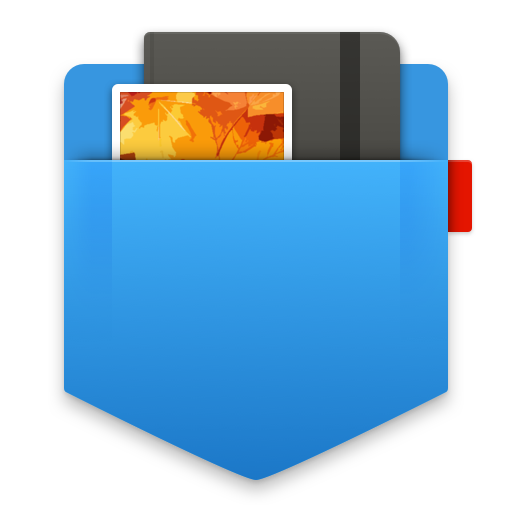 Some other awesome features include Clipboard Favorites, Sensitive Data, clip recall and others. Check out more cool stuff Unclutter Clipboard has! As for dealing with all kinds of files, Unclutter has its second panel called Unclutter Files. 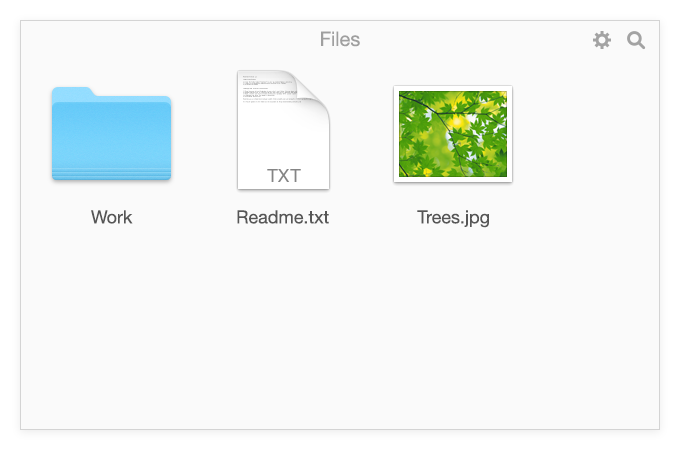 It’s a plain Mac file manager and drop zone at the same time. The panel works pretty much like a usual Finder folder with easy and fast access. Move, copy or make an alias for anything you want to store in this special place. Thanks to Unclutter Files, you can easily clean your Mac Desktop and stop cluttering it with docs, pics, folders, etc. It is a convenient solution to put temp files in and clean the contents later (without creating temporary folders). Or have your most used files right at your fingertips. Really quick and handy – just drag and drop. Find out about more cool things Unclutter Files can! 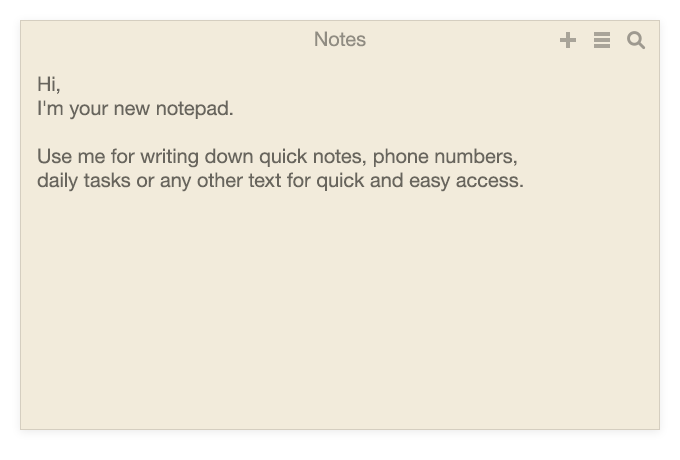 How without a good notes app for Mac? Nowadays, a handy notepad is a must-have and most of us can’t imagine our lives without it. Being incredibly simple, lightning fast and nice to deal with, Unclutter Notes makes your note-taking intuitive and effortless. Our notebook will save you extra time and eliminate extra thinking so you could concentrate on your main priorities while taking quick notes on the fly. I mean, when you need to drop a few simple lines of text – like for a “not to forget” – Unclutter Notes is a go-to place, essential to keep you focused and productive. Look up what else is there about Unclutter Notes! As you see, being productive is not as complicated as it may appear. At least, on this basic level. First of all, try to cope with the mess, distractions, overload and other things you don’t need during your working process. Then it will be easier to see how your job can be optimized, get done in a more efficient and smarter way, consuming less time and resources. And finally, get yourself Unclutter. It is designed for productivity increase and may easily become one of your essential Mac apps. Like it has already become so for many people. Unclutter will improve your workflow reducing the overload of actions you do on the Mac. Eliminating unnecessary distractions and time wasting. In the end, you will feel more powerful and capable on your Mac.